Most of my colleagues are lamenting the proposed rule for MIPS and APM, citing the control that CMS is going to have over their day-to-day practice of medicine. I didn’t know until Wednesday, though, that the reach of CMS went even farther into the realm of fire safety. A newly-released final rule applies to hospitals, long-term care facilities, critical access hospitals, inpatient hospices, ambulatory surgery centers, religious non-medical healthcare institutions, programs for all-inclusive care for the elderly, and intermediate care facilities for individuals with intellectual disabilities. The rule adopts provisions from 2012 fire codes. Unlike the MIPS rules, which require all kinds of work prior to January 2017, this rule gives facilities 12 years to come into compliance with sprinkler requirements. 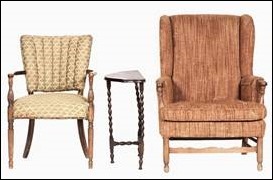 It also regulates the kinds of home décor items allowable in long term care facilities. NCQA has weighed in on the proposed rules to implement MACRA, coming out in support, which is not surprising. They specifically cite independent third-party validation of Patient-Centered Medical Homes and Specialty Practices as a plus. If there is one thing that does make sense about the proposed rule, it is that patient-centered care is a winner. Practices that aren’t sure what they should be doing might want to consider a serious look at the models if they haven’t already. I’m doing quite of bit of work lately with a customer who is switching EHRs. It always amazes me how easy people think this is, before they actually dig into it. The receiving vendors tend to over-promise on their ability to lift the data from the old system and place it into the new system in a usable fashion. Of course, they don’t mention that this often depends on the willingness of the legacy vendor to participate. Sometimes the legacy team will perform the data extract and sometimes a third party is used, but there is at least some baseline cooperation needed, especially if the legacy system is hosted. Depending on the quality of the source data, there may be some degree of massaging of values to map to new data formats. Sometimes this requires clinical input, which can be extensive. When organizations look at the cost of physician time needed, it may impact decisions on how much data an organization decides to bring forward. In this particular situation, the client is using a third party to perform the extract and manipulate the data so that the receiving vendor can perform the database insert. My client was concerned about some of the proposed mappings, so they asked me to take a look. I immediately identified some issues, and when I asked about them, the extract vendor became evasive. That’s never a good sign. Working on behalf of the client, I asked to be put in touch with their clinical resources who were processing the data. It turns out they are using people who aren’t necessarily clinical. The extract vendor is actually operating from his home in a resort town in Thailand. On one call, I’m pretty sure I heard waves lapping in the background. I asked the client to also reconsider their scope for the extract. They had been planning to move all the clinical data, but given that they have more than 15 years of data in their legacy system, it might not be the best clinical decision. If there are issues with data, it’s a lot easier to correct the most recent three to five years of data than trying to manipulate decade-old data that might involve drugs that no longer exist or diagnoses that are no longer valid. We had already had a very difficult conversation about using the new system as their archive. They had originally planned to migrate all their patients, even if they were expired. It remains to be seen how this is going to work out, but the extract vendor is supposed to be working on another data pull for the client to review with me. I hope they’re successful, but in the immortal words of Han Solo, I’ve got a bad feeling about this. AMIA has announced its InSpire 2016 event, which is specifically dedicated to informatics educators. Expanding beyond the Academic Forum, the conference is seeking submissions around education innovation. Additional topics include academic career advancement, informatics for curriculum developers, research, and data science. 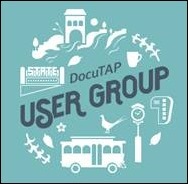 DocuTap is hosting its annual user group June 15-17 in Sioux Falls, SD. It should be an interesting meeting since they were just acquired by private equity firm Warburg Pincus. The event is free for clients and includes sessions on telehealth, analytics, and target-marketing to payer specific patients. I got a kick out of their “20 reasons to attend” document which included the ability to take extra time off to visit Mount Rushmore and the Black Hills, noting that it is an additional five-hour drive across the state. Next week is National Nurses Week, held May 6-12. Being in clinical informatics, I’m proud to work with quite a few informatics professionals who are nurses, as well as nurses who specialize in nursing informatics. I’m also eternally grateful to the nurses at St. Somewhere who saved my backside repeatedly during my first rotation in the coronary care unit as a resident physician. They taught me a tremendous amount of real-world medicine. They also taught me the value of respect – they knew I respected their judgment and knowledge, so they batched their questions for me throughout the night so I could get a little sleep (unlike my counterparts who got paged every 15 minutes because they were jerks). Has a nurse made a difference in your career? Email me.